Winner of the Don D. and Catherine S. Fowler Prize. In 1931 a group from Harvard University’s Peabody Museum accomplished something that had never been attempted in the history of American archaeology: a six-week, four-hundred-mile horseback survey of Fremont prehistoric sites through some of the West’s most rugged terrain. The expedition was successful, but a report on the findings was never completed. What should have been one of the great archaeological stories in American history was relegated to boxes and files in the basement of the Peabody Museum at Harvard. Now, based on over a thousand pages of documents (field journals, correspondence, and receipts) and over four hundred photographs, this book recounts the remarkable day-to-day adventures of this crew of one professor, five students, and three Utah guides who braved heat, fatigue, and the dangerous canyon wilderness to reveal vestiges of the Fremont culture in the Tavaputs Plateau and Uinta Basin areas. To better tell this story, authors Spangler and Aton undertook extensive fieldwork to confirm the sites; their recent photographs and those of the original expedition are shared on these pages. This engaging narrative situates the 1931 survey and its discoveries within the history of American archaeology. 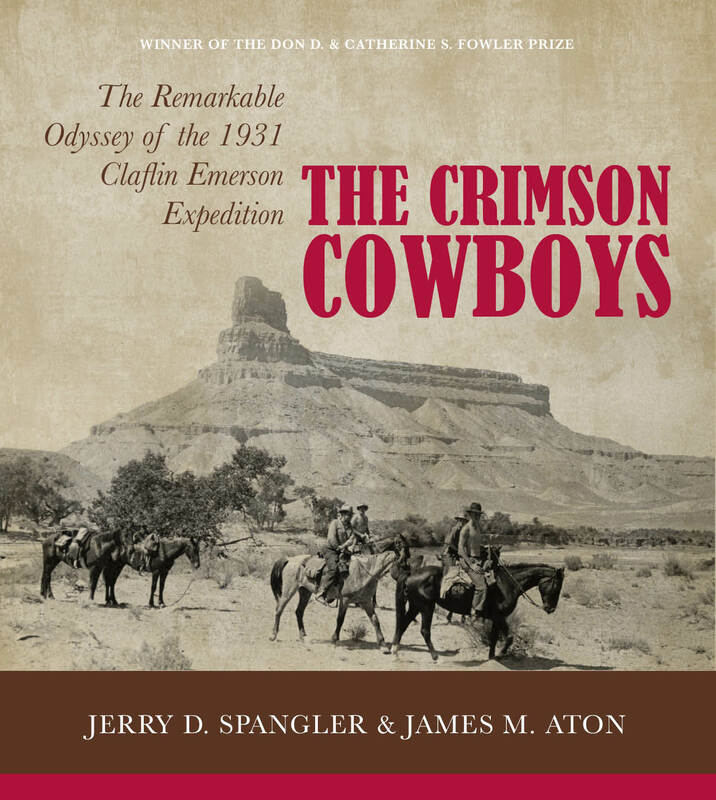 Click here for a podcast with the APEX hour and Jim Aton about The Crimson Cowboys. Jerry D. Spangler is a professional archaeologist and executive director of the Colorado Plateau Archaeological Alliance, a non-profit dedicated to protecting cultural sites on public lands. James M. Aton is professor of English at Southern Utah University and serves as board president of the Colorado Plateau Archaeological Alliance.